When comparing the levels and function of high-density lipoprotein (HDL cholesterol) in those who consumed almonds every day to those who ate a muffin a day, researchers found almond-eaters’ “good cops” HDLs are increasing and functionally improved to take out gangs of LDLs (low-density lipoprotein). "There's a lot of research out there that shows a diet that includes almonds lowers low-density lipoprotein, or LDL cholesterol, which is a major risk factor for heart disease," Penny Kris-Etherton, professor of nutrition at Penn State said. "But not as much was known about how almonds affect HDL cholesterol, which is considered good cholesterol and helps lower your risk of heart disease." The function of HDL cholesterol is to take cholesterol from tissues, like the arteries, and help remove it from the body. Researchers wanted to find out if almonds could not only increase HDL cholesterol levels, but also improve its function. In the study, 48 men and women with high levels of LDL cholesterol participated in two six-week diet periods. Their diets were identical in both except for the daily snack. 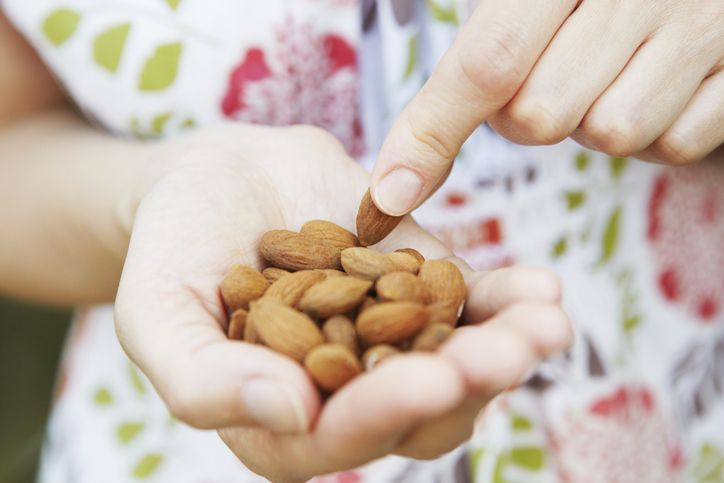 On the almond diet, participants consumed 43 grams -- about a handful -- of almonds a day. They received a banana muffin during the control period. Compared to the control diet, researchers found that the almond diet increased HDL by 19 percent. Researchers also discovered that the almond diet improved HDL function in participants of normal weight by 6.4 percent. Because the particles have been shown to decrease overall risk of cardiovascular disease, an increase in this particular HDL subpopulation is meaningful, Kris-Etherton explained. The researcher also said that while almonds will not eradicate the risk of heart disease, they are a good choice for a healthy snack. Besides their heart-healthy benefits, almonds also supply the body with a dose of healthy fats, vitamin E and fiber. Jennifer Fleming, instructor in the College of Health and Human Development at Penn State and Claire Berryman, postdoctoral fellow at U.S. Army Research Institute of Environmental Medicine, also worked on the study. The Almond Board of California supported this HDL cholesterol study.